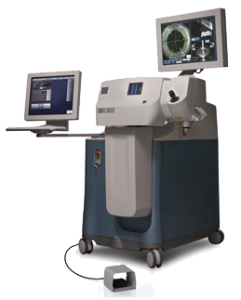 The LenSx Laser was the first femtosecond laser cleared for use in cataract surgery. Now, the LenSx Laser System continues to lead the way in refractive cataract surgery through continual upgrades, ensuring surgeons have access to ongoing innovations in image-guided control, lens fragmentation, corneal incisions and software. It all adds up to a refractive cataract surgery procedure that’s smarter, better, faster.